Some voters in Dallas and around the state are encountering hiccups under the state’s new law requiring photo identification, as early voting continues for the Nov. 5 constitutional amendment election. In addition to the requirement for a government-issued picture ID, the law states that a voter’s name on the ID must exactly match the name listed in the voter registration database. Women, in particular, have complained about additional questions because of name discrepancies. Dallas County elections officials also are allowing voters at polling locations to immediately change their name in the voter registration database to match their photo ID. Elections administrator Toni Pippins-Poole said poll workers are taking extra care to inform voters of the issue. “We’re trying to make sure that we don’t have anyone turned away because their name is different,” she said. As a last resort, a voter with a name discrepancy could vote provisionally and then provide additional supporting information at a later time. Provisional ballots are held until elections officials can verify that they should count. The issue got increased scrutiny last week when a Corpus Christi judge was required to sign an affidavit before voting because her drivers license and voter registration didn’t exactly match due to one listing her maiden name as her middle name. If the name does not match exactly but is “substantially similar” to the name on the [voter list], the voter will be permitted to vote as long as the voter signs an affidavit stating that the voter is the same person on the list of registered voters. It will be interesting to see how this works as more voters go to the polls – in particular, how poll workers decide what counts as “substantially similar”. I don’t think I’m going too far out on a limb to suggest that litigation on this issue is likely – and probably very soon. 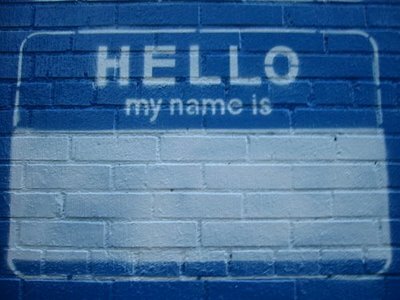 Be the first to comment on "What’s In a Name? In Texas, Maybe a Problem as Voter ID Takes Effect"